The three bench players who will definitely be on the 25-man roster are IF Joaquin Arias, OF Gregor Blanco, and C Hector Sanchez. Arias can play all four infield positions, so he will be a valuable asset off the bench. Blanco can play all three outfield spots and has incredible range and defensive ability. Sanchez will again be the backup catcher to Posey. According to Alex Pavlovic of the Bay Area News Group, Sanchez has lost about 20 points and is in much better shape than last season. Hopefully for Giants fans, this will translate to better offensive and defensive production from Sanchez this season, which would allow Bochy to rest Posey more, if needed. That leaves two more spots for the bench. OF Juan Perez will most likely get one of those spots as the fifth outfielder. 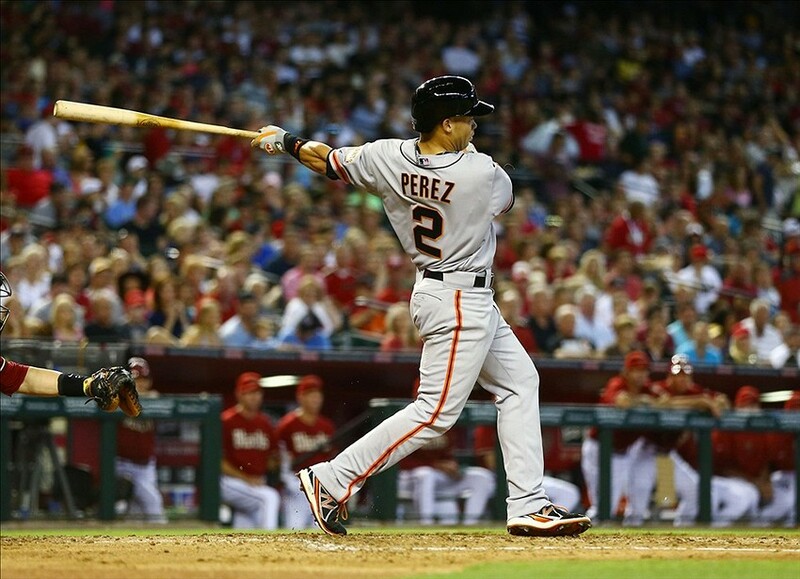 After being called up for the second time with the Giants last September, Perez had a strong finish to the 2013 season. He also played winter ball in the Dominican League in the offseason and showed improvement offensively. The only other candidate for the fifth outfielder role would be OF Roger Kieschnick. However, Perez, unlike Kieschnick, can play all three outfield spots, which would be valuable off the bench, and he has great speed and range. If Perez can find some consistency on the offensive end, he will certainly get one of the last spots on the 25-man roster. For the last spot, Bochy will want to add one more backup infielder. The top candidates are IF Tony Abreu, SS Ehire Adrianza, IF Nick Noonan, and possibly SS Brandon Hicks. Abreu and Adrianza are out of options with the club and subject to waivers if they don’t make the team, so one of those two will most likely get the last roster spot. The Giants avoided arbitration with Abreu and signed him to a one-year deal. His contract is guaranteed, but not fully guaranteed, meaning he could be cut in spring training. Abreu has more updside offensively, and Adrianza is stronger defensively. However, Abreu is more versatile defensively, since he can play second base, shortstop, and third base, whereas Adrianza only plays shortstop. Obviously, this decision will come down to whether Abreu or Adrianza has a better Spring Training. However, it would probably make the most sense for the Giants to give Abreu that last spot.